"Printed in Germany 1977" and "Ullstein Buch Nr. 3314" is stated on the copyright page. 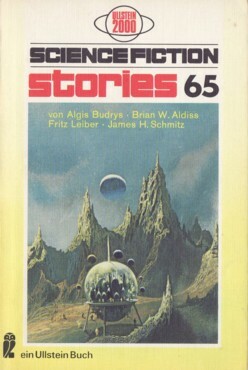 The table of contents appears on p. 4 (Leiber's story is spelled differently there). The cover art is credited on the copyright page to ACE, the artist was determined via the cover's parent title (the art was initially published by Fawcett Crest, not Ace).